Home / Cocktails / J.O.S. The J.O.S. cocktail blends both kinds of vermouth with gin and several dashes of several things. The overall flavor is subtly fruity with tangy notes. This is a serious drink that can be an acquired taste. That said, sweet vermouth tends to be something one either loves or hates, so if you hate it you probably won’t learn to love this drink. Fill a cocktail shaker with ice; pour in all the ingredients and shake until chilled. 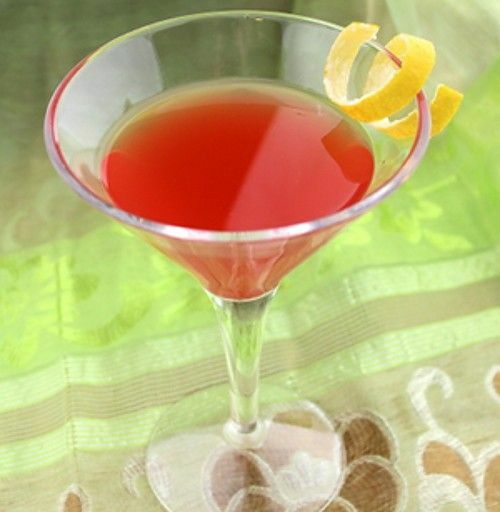 Strain into a martini glass, and garnish with a lemon twist.